Probate and Trust Administration – James F. Gulecas, P.A. Probate is the court proceeding through which a will is proved to be valid and the estate of a decedent is administered. The process, generally, includes inventorying a decedent’s assets, notification of beneficiaries and creditors, payment of allowed creditors’ claims and any income or estate taxes, and distribution of property to heirs. Florida law requires that the personal representative (executor) of the estate of a Florida decedent be represented by a Florida attorney. The fees of both the personal representative and the attorney are provided by statute, but these can be varied by agreement. If assets are held in a Living Trust or are otherwise owned in a way that avoids probate, then this legal process is avoided, which may save substantial legal and administrative fees, primarily because the trust administration process is much more streamlined and generally requires almost no court involvement. If either (i) the decedent’s non-exempt probate assets do not exceed $75,000 and there are no creditors, or (ii) the decedent died more than two years ago, an abbreviated probate proceeding called a “summary administration” is available. A summary administration typically involves only a petition, consents and waivers of notice, and a court order, and is usually only a fraction of the cost of a formal probate administration. The decedent’s homestead is an exempt asset and its value is not included in the $75,000 limitation. 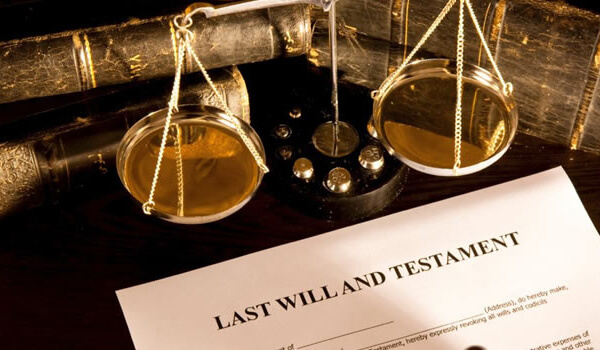 We administer formal probate and trust administrations on both the statutory percentage and hourly fee basis, depending upon our agreement with the specific client. We handle Florida summary administrations on either a flat fee or hourly basis. Because a routine probate administration is handled by online e-filing and telephone and generally does not require personal court appearances by the attorney for the estate or the personal representative, we can administer estates of decedents being probated in any part of Florida. In the unlikely event that a personal appearance is required at a court hearing in a distant location, local counsel will be retained to represent the estate, and the fees charged the estate for this additional representation will not exceed what we would have charged for attending a hearing in Pinellas County. James F. Gulecas, Esq., is board certified by The Florida Bar in Wills, Trusts and Estates. James F. Gulecas, P.A. represents clients throughout Florida including Pinellas County, Pasco County, Hillsborough County, Hernando County and the cities of Dunedin, Palm Harbor, Clearwater, Tarpon Springs, Safety Harbor, Oldsmar, New Port Richey, Holiday, Largo, St. Petersburg, Pinellas Park, Seminole, and Tampa.